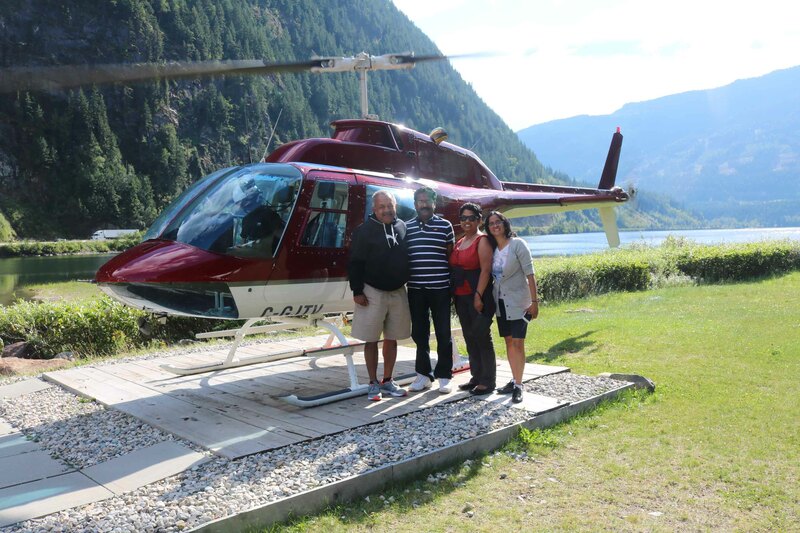 During our trip to the Rocky Mountains in Alberta and British Columbia (BC), in August 2016, we undertook a helicopter ride lasting 30 minutes over the mountain ranges and the Boreal Forests of Revelstoke, BC. The town is located 641 km East of Vancouver, on the banks of the Columbia River. Canada is home to 10 per cent of the world’s forest cover and 30 per cent of the world’s Boreal Forests. About 38 per cent of Canada’s land area is forested, or about 3.4 million out of 9.1 million square km. 92% of these forests are owned by the government and is highly regulated and monitored. Slightly more than half of this area is classified as commercial forest capable of producing merchantable trees and has not been reserved for other uses such as parks. Various government agencies identify intended methods of cutting, reforesting, and managing timber resources within the defined area of responsibility. The forest management planning time frame considered is 200 years, representing two full life cycles, or ‘rotations’. Despite being the lead exporter of softwood lumber, newsprint and wood pulp, Canada harvests less than 0.2 per cent of its forest annually. On average, a tree must be about 80 to 100 years old before it is ready for harvesting. In case 1% of trees are harvested each year, forests have 100 years to grow back before they are re-harvested. Every year is different, depending on several factors, including wildfire and mountain pine beetle activity, but the number of trees harvested each year is always much less than 1%. While trees can now be chopped down with the help of machines, replanting must be done by hand, one sapling at a time. Certain species, like aspen, regenerate naturally after harvesting. The number of trees in Canada works out to 16 trees for every person. Canada also plants at an average of more than 2 trees for every tree the industry harvested. A silviculture system covers all management activities related to growing forests – from early planning through harvesting, replanting and tending the new forest. Silviculture is the art and science of controlling the establishment, growth, composition, and quality of forest vegetation for the full range of forest resource objectives. The policy guideline for silviculture in Canada is sustaining environmental and economic values for the future. Canada’s forest management policies and practices are among the most stringent in the world. 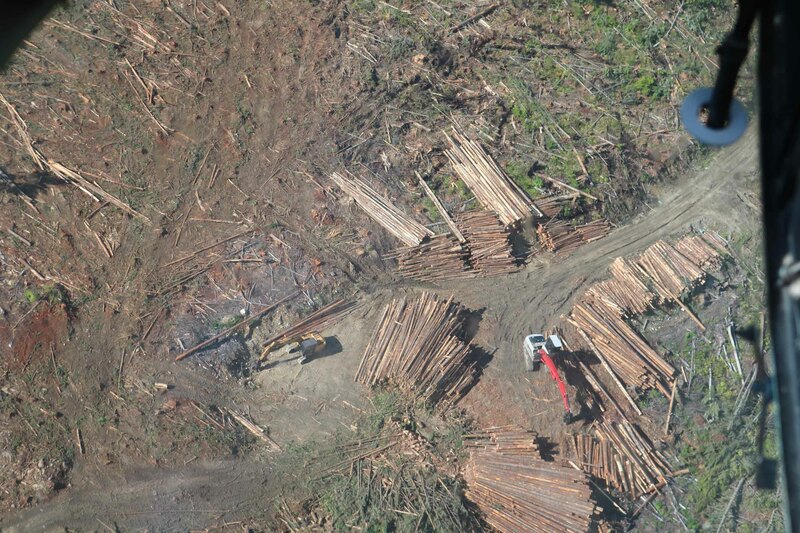 A common method of logging in in Canada is clearcutting – the harvesting and removal of an entire stand of trees. 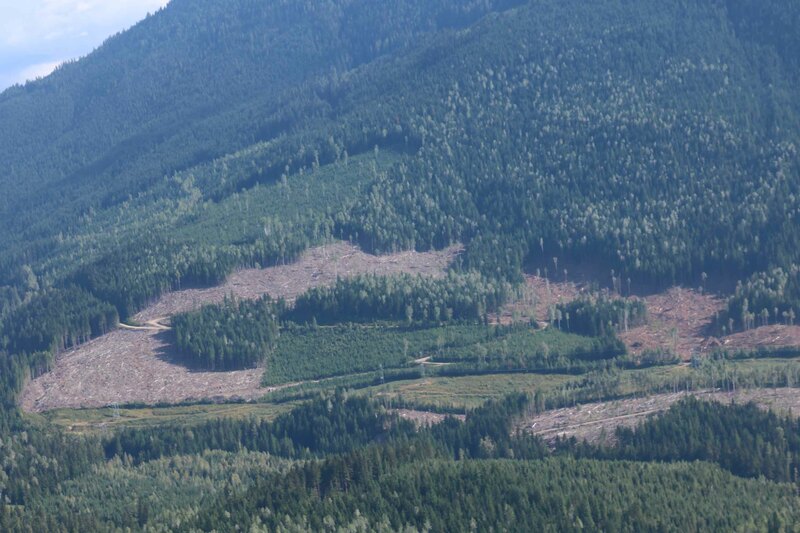 Although efficient, clearcutting poses a variety of environmental problems. It can increase the harmful impact of wind and rain on local ecosystems; destroy the valuable wildlife habitat used by pine martins, caribou, and other animals; and cause soil to become dry and overheated, which may in turn increase the risk of fire or interfere with seedling growth. 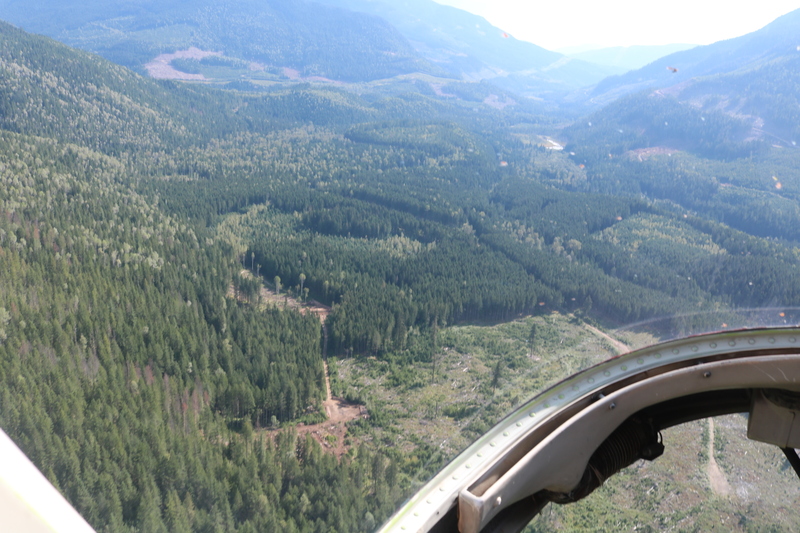 Logging operations can also alter the chemical and physical makeup of nearby bodies of water and affect the health of fish and other aquatic species. Since 1949, forest companies have been legally mandated to reforest harvested areas. Reforestation must occur within two years of harvesting. Tree planting operations typically occur between May and August, when conditions are right to plant trees and promote their survival through the winter months. Forest companies monitor trees for up to 14 years after planting, and conduct all work needed to help ensure survival to full maturity and successful forest renewal. In most cases, the logging companies are required to regrow at least two trees for every one they harvest. Sometimes companies plant 5 or 6 trees for every harvested tree. The reason for this is that many of the seedlings may not survive their first few years, so planting extra trees ensures that enough will survive to replace what is harvested. Harvesting too many trees can be harmful to the forest, but with careful planning, harvesting trees can actually make the forests healthier. Clearing out old trees makes space for new trees to grow, continuing the life cycle. Many animals like deer, moose, and elk prefer younger forests with new vegetative growth to feed on. 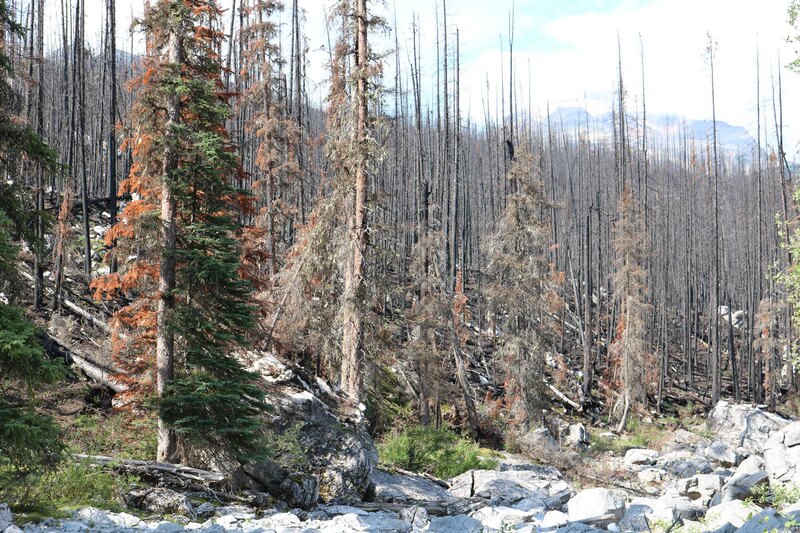 The younger trees are less prone diseases and invasive insects like the mountain pine beetle. If we only had old trees in our forest, it wouldn’t be very healthy or diverse. 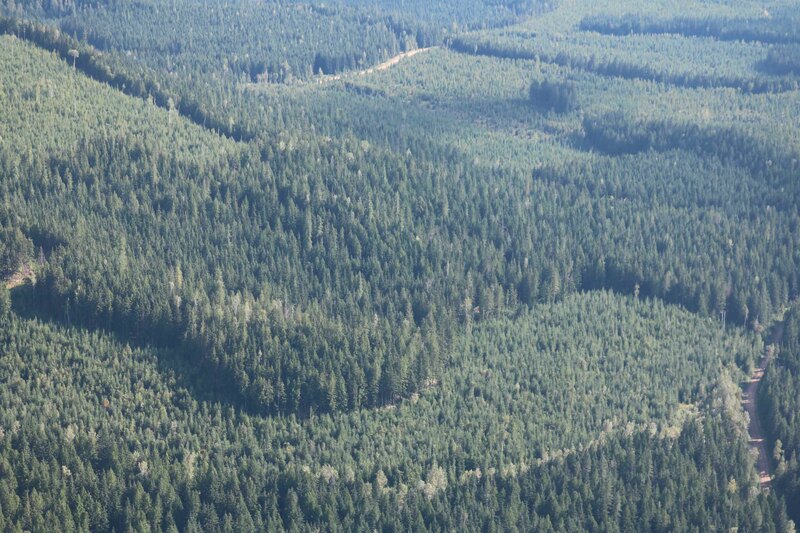 In the picture above, you can see patches of forest that are at very different stages of growth. There are older trees which provide habitat for the wild animals and there are young trees too. Forest harvesting involves cutting trees and delivering them to sawmills, pulp mills and other wood-processing plants. 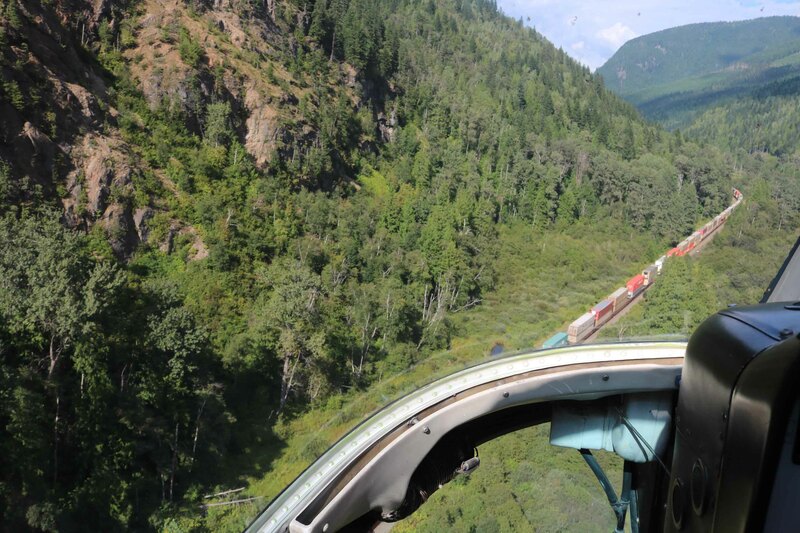 The operations include road construction, logging and log transportation. Years of planning go into deciding when and which parts of the forest will be harvested and how this will occur, all to ensure that these activities are carried out in a manner consistent with protecting social and environmental values. The specifics of forest harvesting would depend on the region and type of forest. 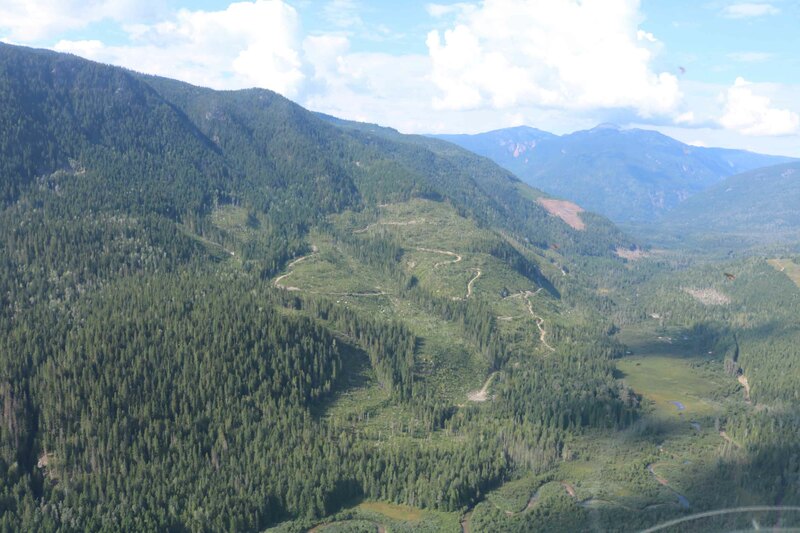 The forest industry builds thousands of kilometres of logging roads each year. All these roads require planning and surveying. They must be constructed to minimize erosion, protect water quality and cause the least impact on the forest growing site. The lumber harvested and the timber products of the industry’s mills are transported mostly by rail or road. Waterways are also used to move lumber by floating them downstream, tied in a raft formation or by powered barges. The trans-Canadian railway line connecting the Atlantic coast to the Pacific coast runs through this area. Forest fire is the nature’s way of deforestation. These fires help return valuable nutrients to the soil that helps a natural rebirth. Some pine cones need high temperatures to help burst open to facilitate the seeds to disperse. The fires help the undergrowth exposure to sunlight, making them grow better. Such fires naturally occur in forests every 150 to 250 years. Regulated and dedicated efforts by various Canadian government agencies and the timber industry can only sustain the forest wealth of the country. The efforts are in the right direction to ensure ecological balance and also to ensure that these forests would thrive through for future generations. Quite interesting article. From the photos, I couldn’t make out any fire lanes in forest as we have in India.